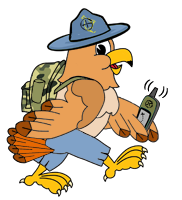 Going to GeoWoodstock XIII in Boonsboro, Maryland? Please join us at 7:00 PM on Saturday, May 23rd for a 45 minute exclusive to OCNA After GW event in Washington Monument State Park, a couple miles outside of downtown Boonsboro, and about 5 miles from the site of GW. It is designed to NOT interfere with 2 other evening post GW events in the area. These are the 6:00-7:00 PM After GeoWoodstock CITO – Doubs Woods Park event in a Hagerstown City Park, and the 8:00-10:00 PM Midnight Madness – Geocoin Event – GWXIII on the grounds of GeoWoodstock. Of course you’d have to leave the CITO early to make our event by it’s starting time, or at the stroke of 7:00 PM to make an appearance at ours. 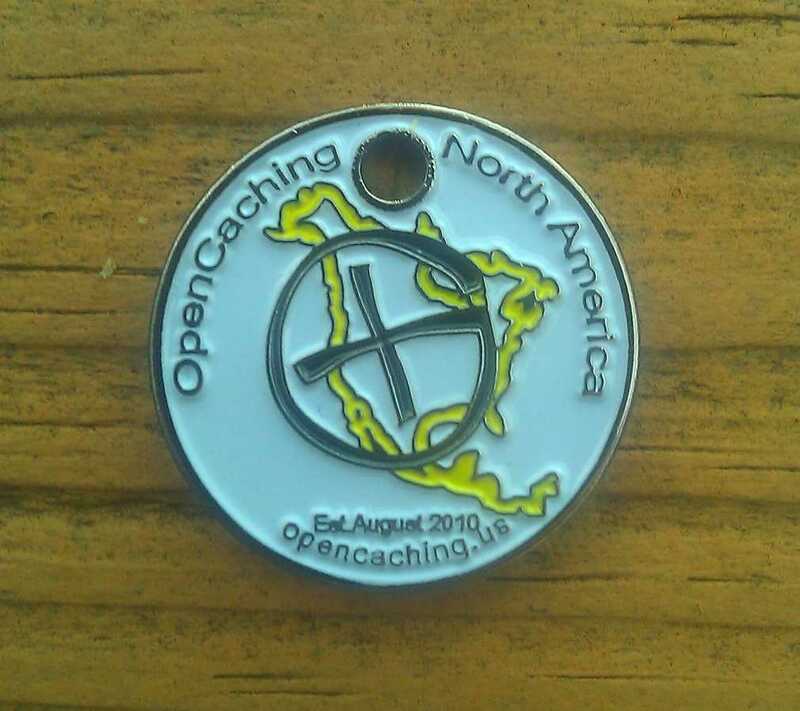 We are running a little low on OCNA promotional items, as we plan on having many new ones made up for our 5th anniversary in August, 2015. But we should have enough to go around (including some of the retired 1st edition Pathtags shown here), assuming a crazy amount of people don’t show up. Keep in mind there is a $2 parking fee to attend this for Maryland residents, and $3 for non-residents. This is collected in an unattended locked metal box on the honor system, so we’d highly advise bringing exact change. Here’s a link to the Event Page on our site again, and you can always check the event page out pinned near the bottom of the main page of our site under “Upcoming Events”, where it will remain until after it happens. Hope to see you there! 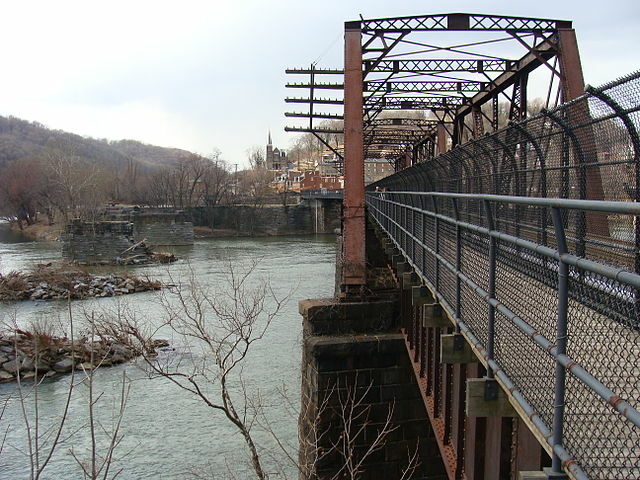 At the approximate midpoint of the pedestrian walkway on this railroad bridge over the Potomac River is the starting point of the Appalachian Trail (hereafter referred to as the AT), in Maryland. That’s the historic town of Harpers Ferry, West Virginia across the river, which just happens to be the location of Appalachian Trail Conservancy HQ. 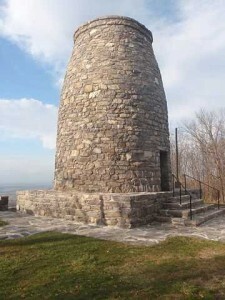 The AT in Maryland follows a 40.9 mile route, mostly along the backbone of South Mountain. The AT Conservancy rates the Maryland section of the trail with an overall difficulty of 2 out of 10, (which is quite easy by AT standards), and the elevation ranges from 230 to 1,880 feet. We assume, that as outdoorsy types, most Geocachers are familiar The AT, especially those in the Eastern half of The U.S. and Canada. But we’ll give a quick overview of the whole trail before discussing the Maryland section. And Geocaching, of course. 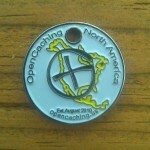 OCNA Virtual Caching in Arlington, Va. They are NOT, however, the only OCNA caches in Arlington; they are merely the 5 featured virtual caches within a .9 mile radius. You could spend a whole day finding OCNA caches in Arlington; we have 13 of them (the first 13 in that search), including another Virtual and a Webcam. Read on for more info on the 5 featured Virts. 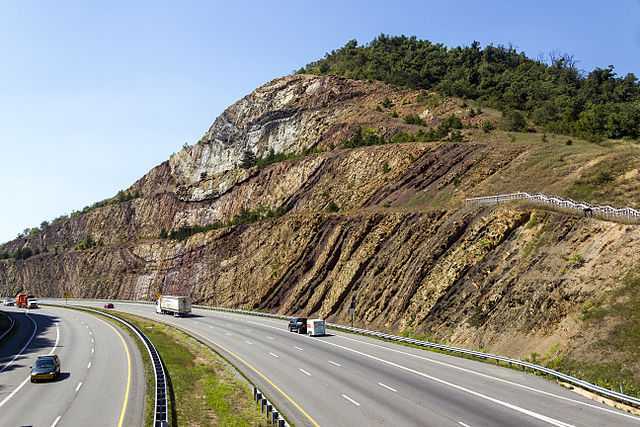 In our last blog post about the Sideling Hill cut on I-68, we were about 35 miles from the site of GeoWoodstock XIII in Boonsboro, Maryland, and we’re inching closer! Above is a view of Hancock, Maryland from U.S. 22 (photo by Andrew Bossi), which is about 6 miles east of the cut, and about 30 miles from GW. Are you bringing a bicycle to GW? (You can rent one too); then Hancock is the place to be! If you don’t believe us, note that there is an official GW Cycling “after event” (created by the GW XII committee), On Sunday Morning, May 24th in Hancock. As we mentioned in our last blog post on the Rt. 40 Town Hill Overlook, you can easily see the famous Sideling Hill cut for Interstate 68 some 4 miles away from that overlook. But as you can see from this picture, taken from the pedestrian overpass over I-68, the cut is more impressive up close and personal!